Daily Messes: Yeah Toast: French Toast! I love French Toast! I remember eating it as a kid and I make it for my kids now. I did not like syrup as a kid, so I sometimes had powdered sugar sprinkled over the top. 1. Heat a skillet over medium heat on the stove. Spray with non-stick spray. 3. 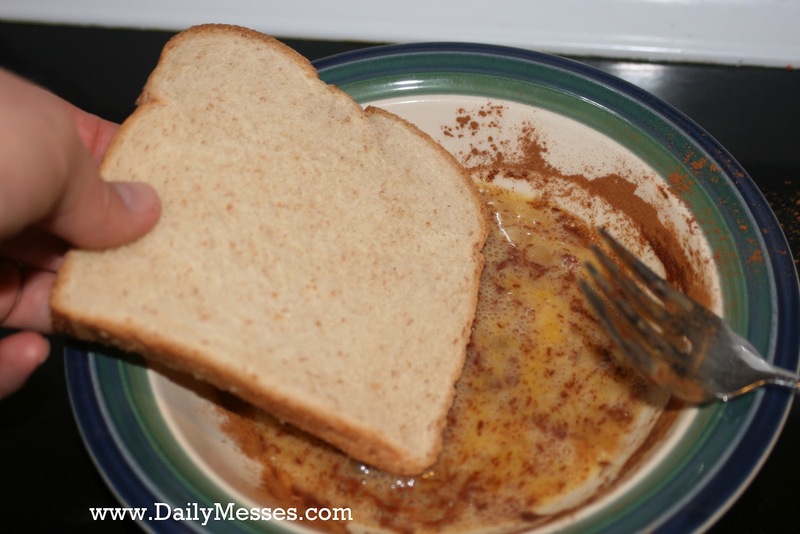 Dip both sides of the bread into the egg mix. 4. Place in warm skillet and let cook until egg is cooked on the bread and has a nice golden brown color. 5. Place French Toast on a plate and serve with syrup, your favorite jam, powdered sugar, etc. 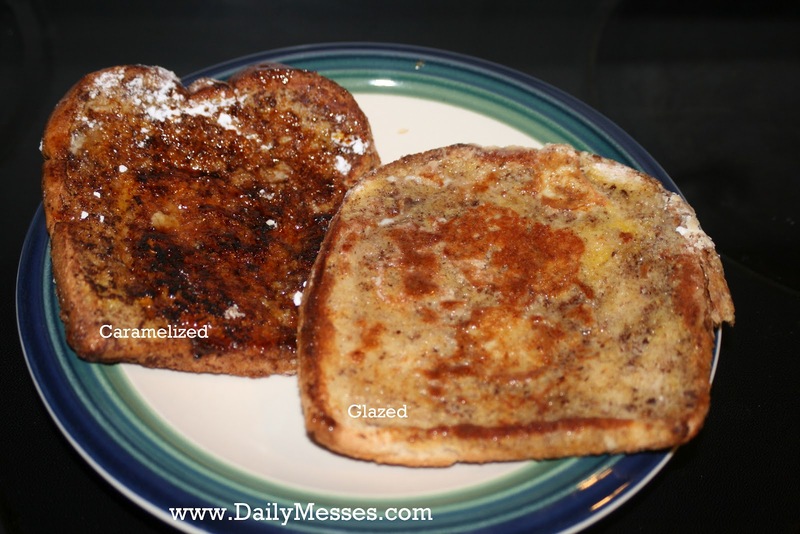 You can also add a sprinkle of powdered sugar to the top of the toast while it is in the pan. Heat a metal spatula over a different burner and place on top of sugar to create an instant glaze. Or sprinkle on sugar, flip over in pan to caramelize! 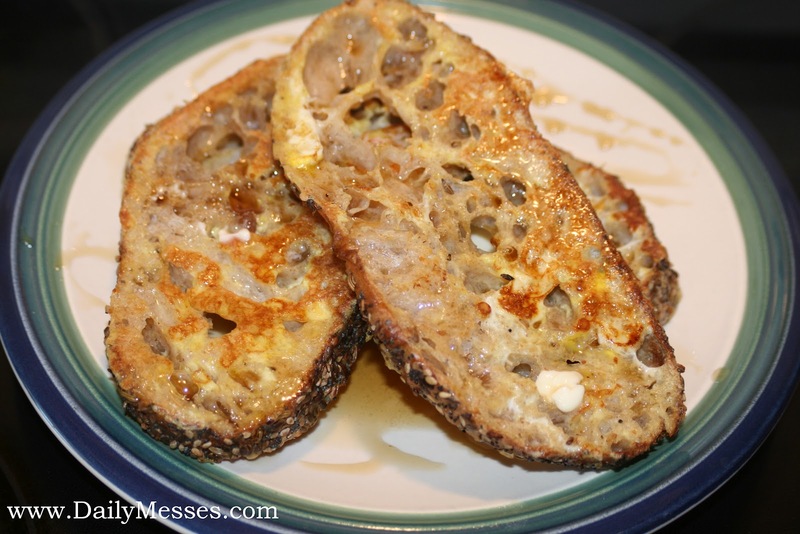 What's your favorite way to eat French Toast? Do you have any good recipes? Please share! I'm not fond of french toast but I love to make it for my family. I so love french toast and it so loves to attach to my waistline. I too popped in on the blog hop. 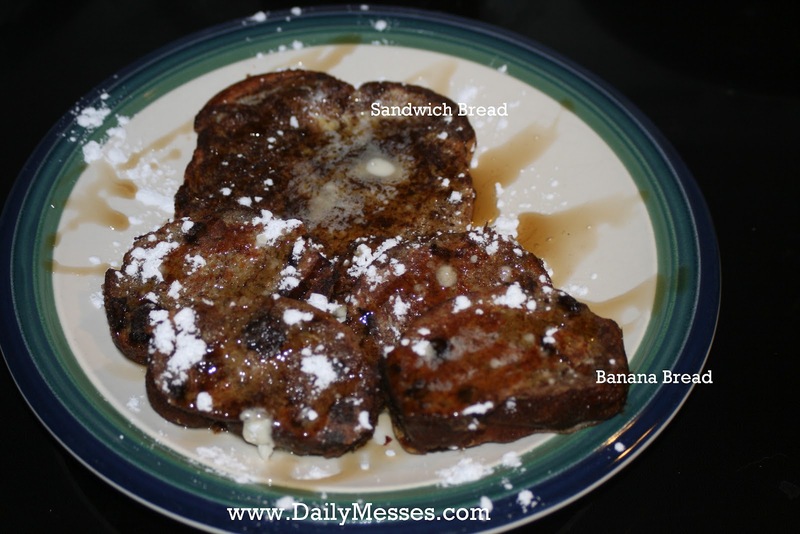 Banana Bread french toast sounds wonderful! Thanks for stopping by my blog. I'm following you back from What's Cooking in the Burbs. Have a great weekend!